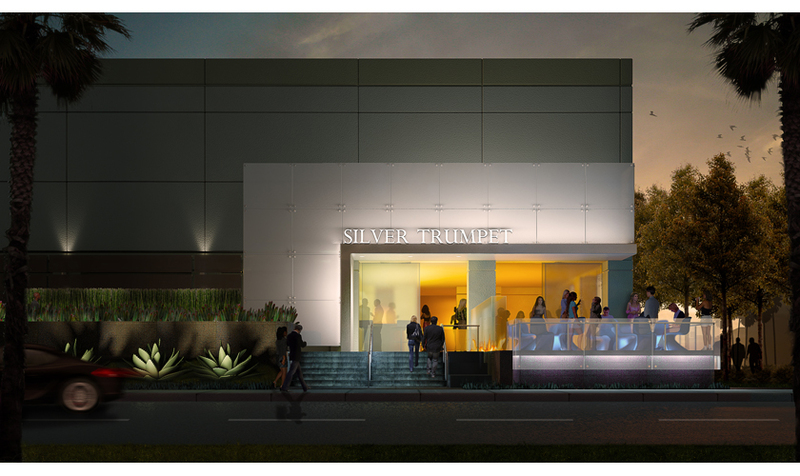 Conceived as an upscale cocktail lounge focused on the hotel visitors and theater crowd, the Silver Trumpet Bar and Restaurant will be luxurious yet accessible. 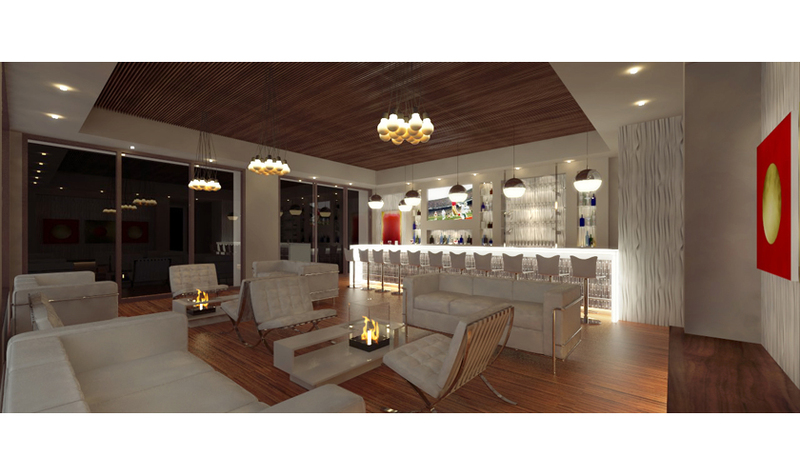 The contemporary design is accented by carefully selected art and modern furniture. 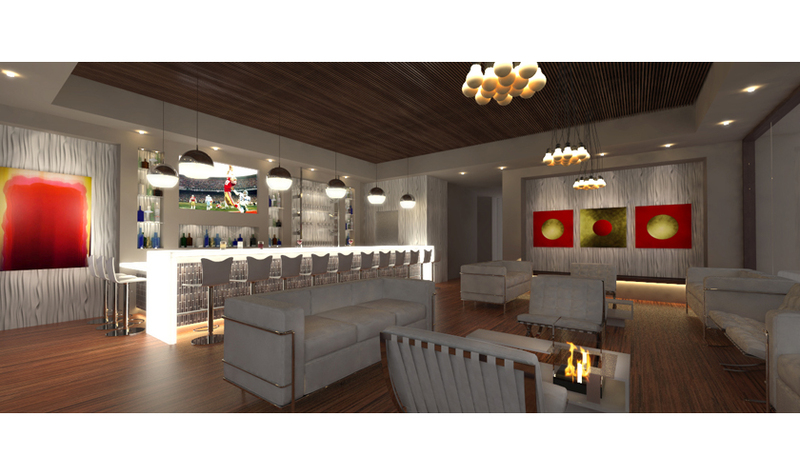 The concept includes a new backlit glass facade, entry water feature, outdoor dining area, indoor lounge and a glowing white onyx bar top to showcase the signature handmade cocktails. 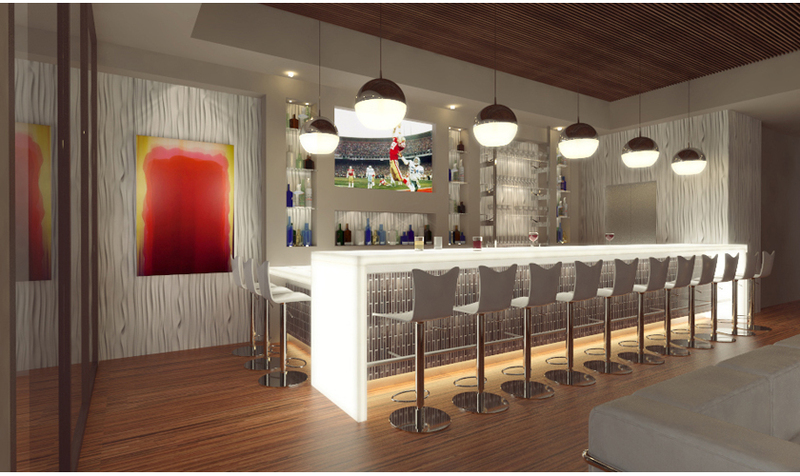 See the recently completed Silver Trumpet Bar and Restaurant here!